Since 1925 GEWA is dedicated to string bow instruments and their accessories. What started out as a small luthier workshop in East Germany has become a globally acting team of excellent craftsmen. The passion for master instruments carefully crafted in Adorf to the tradition of European luthiers has been enhanced by modern state of the art machinery, to create this kind of instrument also for beginners. So you really get both worlds with GEWA – outstanding completely handmade string bow instruments from premium selected European tonewood, crafted by our master luthiers in Adorf. As well as the best value for high-tec processed instruments that are traditionally hand varnished, with top notch components. Aspirante is our new series of string bowed instruments, based on the Germania concept. It is the first beginners series of its kind to offer hand-varnished instruments made from European woods. The thin handvarnished enhances the instruments excellent sound. 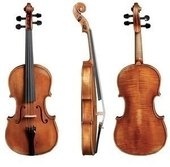 The body and neck are made on state-of-the-art CNC machines and the measurements are based on the original Strad model. It is guaranteed that every instrument has the same optimum finish. The instruments are available in 4 different colors and in sizes from 4/4 to 1/16. Aspirante stands for the dedication, joy and personality of the young musician who chooses the string instrument as a companion on their musical path. 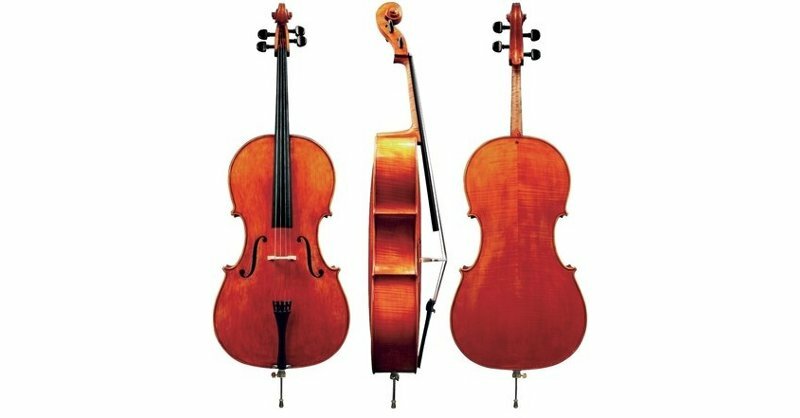 The Maestro instruments are available in different levels of quality, based on the different woods, and are normally supplied in a non set-up version. That means these instruments come without the following parts: strings, tailpiece, chin rest, sound post setter, bridge and GEWA label. Upon request we can also supply these instruments set-up. Our luthiers will equip the instruments with high quality parts. If you want a set-up Maestro, please add "100" to the regular item number. 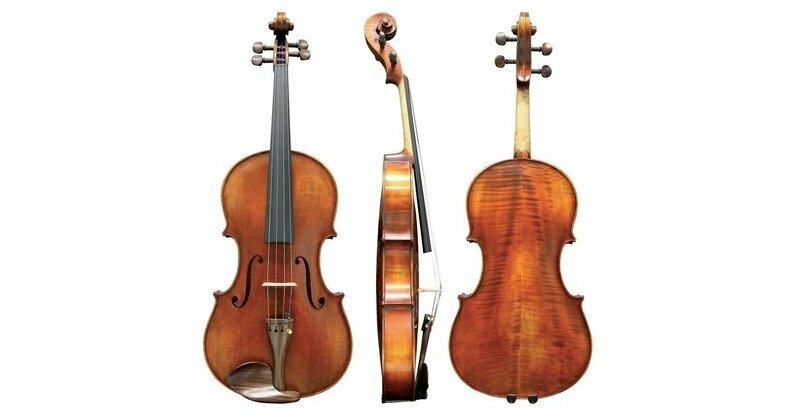 The set-up Maestro violins/ violas consist of: - Thomastik-Infeld Dominant strings - Aubert bridge - Tailpiece with a Wittner fine tuner (also without GEWA label upon request - please note / individual set-up also possible upon request). The GEWA Germania series emphasizes brilliant features in the universal language of music. 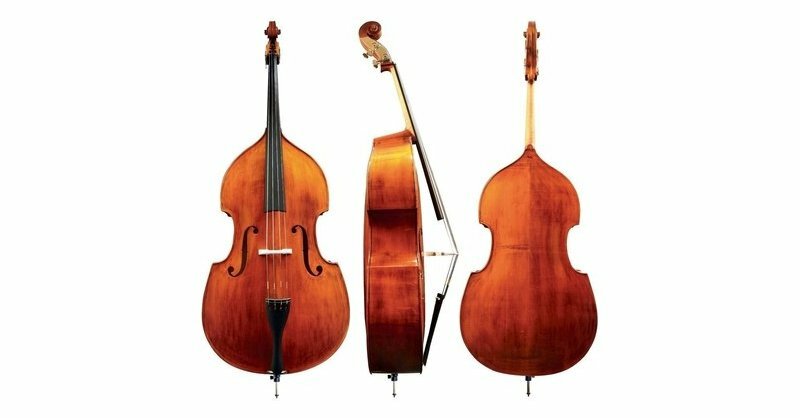 For over 300 years, string instruments have been manufactured in the Vogtland. Our Masters spice up this longstanding expirience with the youhtful passion with which they build the GEWA Germania instruments. All these instruments are manufactured with combined efforts and are made out of high-quality materials. The varnish appliaction is extra thin for ideal vibration. The sound spectrum of the instruments does not suffer a loss through thick layers of varnish. The series is dedicated to Georg Walther, the founder of GEWA music, and that is why the instruments are characterized by great attention to detail. We chose the materials carefully for optimal sound quality and appearance. Every instrument maintains the highest standards of craftsmanship, combined with a deeply satisfying richness and complexity of tone. Excellent handmade concert instruments made from finest European tonewoods for orchestral and chamber music players, students and teachers. With the new GEWA Meister series we offer high-quality, hand-made, master instruments for professional musicians with the highest demands. Our manufacturing process was inspired by the imposing virtuosity of the legendary Niccolo Paganini. We dedicated the two different models of violins to his two incredibly sophisticated compositions "Le Streghe" and "La Campanella". Only the best materials are selected and matched for all “Meister” instruments. The components are of the finest quality and fulfill every requirement for professional musicians. Our double basses workshop has a long tradition of manual production of the highest level. Our masters are responsible for the entire procedure, starting with the wood selection, through to the storage and processing, right up until the instrument is completely finished. So in each instrument the look, sound and the color have been created by their own luthier. These instruments have been part of the orchestral scene for decades and they can be heard in the largest concert halls in the world, from the New York Philharmonic to the Scala in Milan. 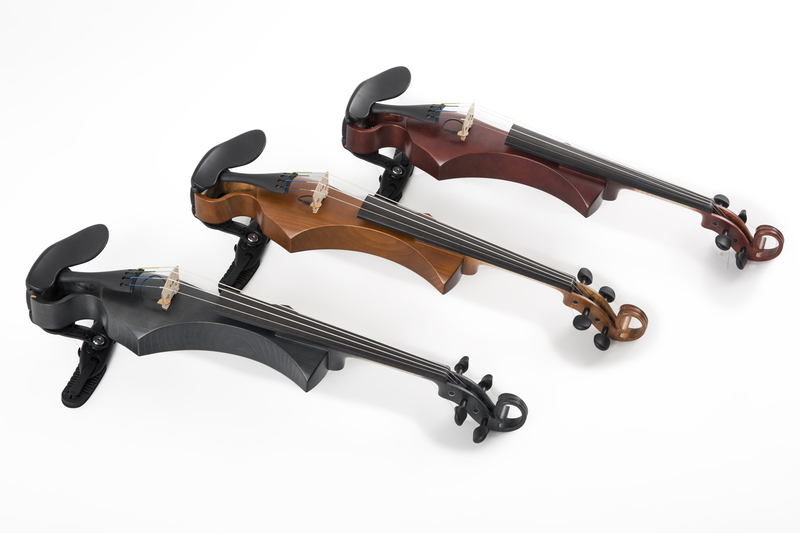 The GEWA NOVITA E-violin merges traditional functionality and modern design. The best of aesthetics lies in its exceptional shape. The scroll, in particular, catches the eye thanks to its extraordinary look. Yet, the traditional playability remains unaffected of all modern features. All parameters correspond to the classic proportions and provide highest ergonomic comfort while playing. Design and tradition is completed by the perfect choice of accessories. Motivated by the positive feedback and interaction with musicians we dared to go one step further. We developed a new pre-amp system in our R&D division and in co-operation with a leading manufacturer of pick-up systems.